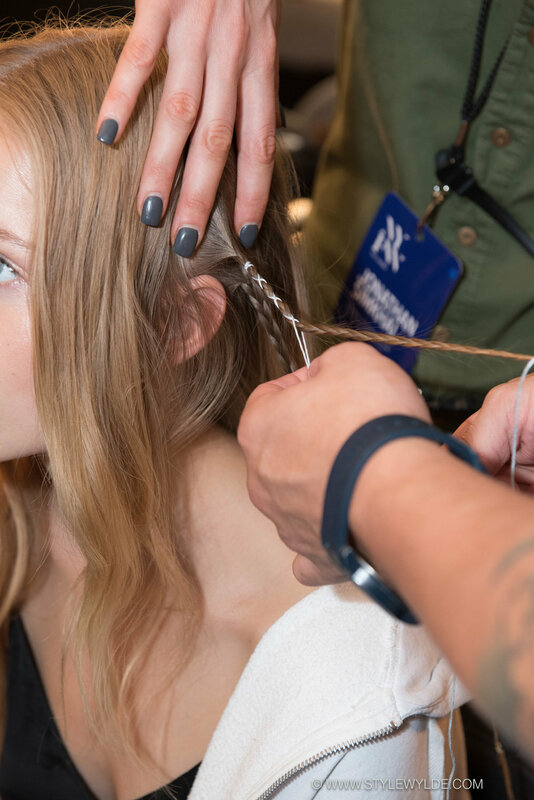 "Desert Drifter" was the inspiration behind the Jonathan Simkhai Spring 2017 collection, and the inspiration behind the beauty, hair and nail looks created for the runway show. Backstage before the event, amidst what was definitely the most crowded and chaotic scene of the week, the Catwalk by TIGI professional team lead by Creative Director Thomas Osborn, as well the teams from Maybelline New York and Côte Nails, took all the madness in stride and worked like a well oiled machine to bring the look together. "Spray a generous amount of CATWALK by TIGI Texturising Salt Spray throughout dry hair to create a tousled, textured base. Blow-dry hair while combing through with fingers in a backwards and upwards motion. Next, divide hair at the nape. Wrap large sections of hair around a 1.5” curling iron without closing the clamp, leave ends out. After each section is released, gently rake through the hair with fingers to loosen the curl, creating an un-done bend. Use a flat iron on random pieces for a “just walked through the desert” look. Then, braid a small section of hair underneath the left ear and secure with an elastic. Measure a piece of thread that is 3 times the length of the braid. Beginning in the center of the thread at the top of the braid, wrap the thread around the braid in a criss-cross motion. Add in a large bead half-way down the braid by stringing it onto one side of the thread and tying a knot with the other. Finish with a second bead at the end of the braid. Create a second braid underneath with thread without adding beads and a random surface braid loosely though the back on the opposite side. 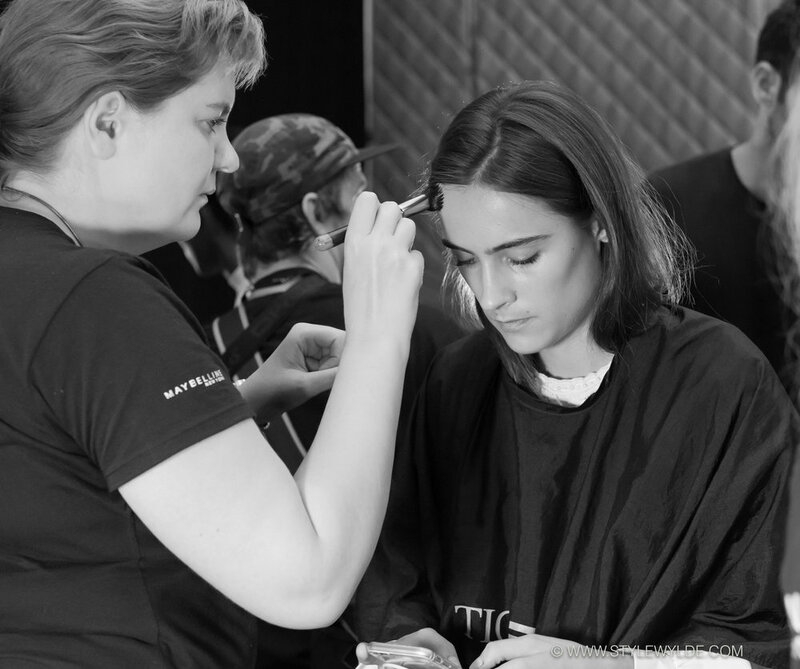 Rub a dime-sized amount of CATWALK by TIGI Hairista Cream throughout hands and rake through hair from mid-shaft to ends. Bend strands of hair as necessary to create a rough, messy look. Finish with CATWALK by TIGI Transforming Dry Shampoo & CATWALK by TIGI Work It Hairspray throughout to amplify texture and create grit." The good news? All of the above products are listed at under $25 and available at retailers nationwide.